SalesIn is a sales enablement platform which helps sales reps manage incoming sales with sales, customer, inventory and appointment management tools. 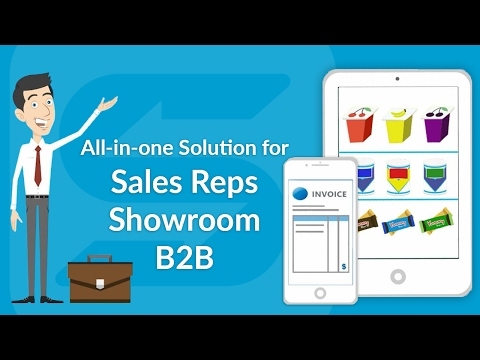 Incorporating real time visibility of stock levels, advanced pricing rules, product image galleries, sales histories and more, SalesIn aims to deliver a comprehensive sales enablement solution. There are currently no reviews of SalesIn. Set up multiple templates per customer for fast ordering. Get instant access to sales history. Capture signatures online with e-signature technology. Work offline with offline access. Integrate with QuickBooks online, Xero and MYOB. Below are some frequently asked questions for SalesIn. Q. What type of pricing plans does SalesIn offer? Q. Who are the typical users of SalesIn? Q. What languages does SalesIn support? Q. Does SalesIn support mobile devices? Q. Does SalesIn offer an API? Yes, SalesIn has an API available for use. Q. What other apps does SalesIn integrate with? Q. What level of support does SalesIn offer?